When people go on a trip, the question on the last few days of their trip has oftentimes been “Where can I find the best buys here?” In Vilamoura, Portugal, there is a considerable number of shopping destinations to wrap up your holiday vacation. The stores may not be the main attraction of Vilamoura, but they are still a must-visit especially for travellers who want to secure items that they can take with them when they return home. 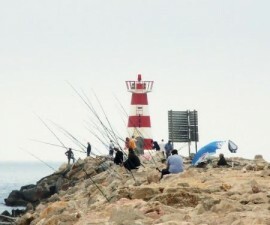 After enjoying the azure waters of beach and resorts, experiencing awesome boat rides and practising your golf skills at Vilamoura’s tourism hubs, the next best activity for you would be to explore its and its neighbouring towns’ shopping centres. There are many good buys you can find, especially if you are very skilled in the shopping trade. 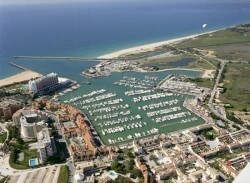 The Marina is the centre of shopping activities in Vilamoura. The Marina complex is a home to hundreds of shopping centres that offer almost everything you need during and after your trip. Even if you are travelling within a budget, it will still be a nice and fun experience for you to explore boutiques and shops in the area. Those who are fond of window shopping will love to see a collection of chic items, native products and branded accessories in Marina’s shops. If you are a die-hard fashion lover or collector of stylish items, you would surely love to indulge in Marina’s luxurious fashion boutiques. Here you will find the latest fashion items, and most stylish clothes and accessories. There are also designer jewellery stores, which delight the eyes of collectors and trendsetters. 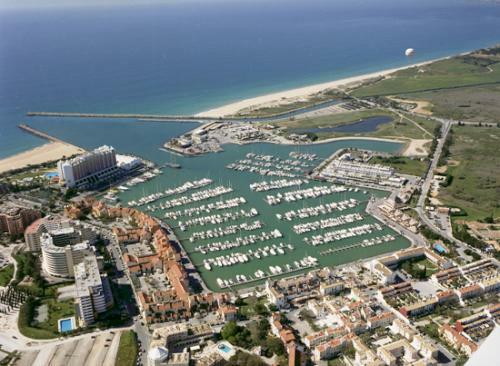 Of course, your shopping pleasure will only be completed if you can take with you what Vilamoura has to offer. In Marina’s shopping hubs, you can choose from a variety of local craftworks that come with quality packaging, exquisite designs and manageable prices. Local crafts are among the best selling items in the shopping centre as they have been a favourite take-home item. If you can’t get enough of your shopping spree at the Marina, you can take a 20-minute car ride to Faro and visit Algarve Shopping, one of the biggest shopping malls in Algarve. The place is host to more than one hundred shops and one big supermarket, where you can get all the supplies you need. Algarve Shopping, a two-storey building, houses several restaurants and fast food chains in its upper level. 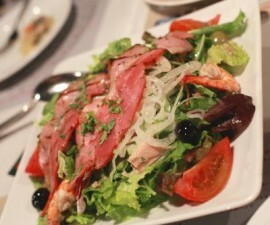 Whatever your budget may be, you will surely find a great place to eat at Algarve Shopping. 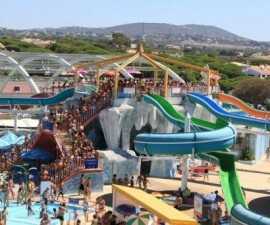 There are also spacious parking lots in Algarve Shopping, which makes bringing a car conducive especially at rush hours. The place also has a ten pin bowling alley, where you can enjoy a couple of throws at any day, starting at 10 a.m.
Forum Algarve, which opens from 10 am to 12 pm, is another spacious shopping centre. 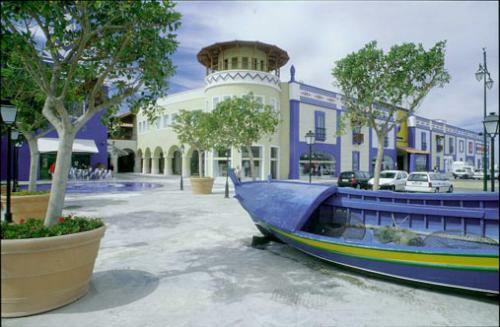 All the passages and centres in Forum Algarve are covered, making the mall the largest roofed centre in Europe. 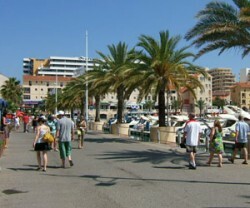 There are also cinemas, restaurants and enough parking spaces for visitors here. 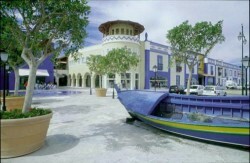 Quarteira also offers diverse shopping choices for tourists and travellers. From food to memorabilia, this place offers a great selection of choices that fit any budget. After your visit to Vilamoura, you can come to Quarteira to shop for hand-made linens and clothes, which this shopping complex is known for. Here, there are also intricate embroidered items sold at very affordable prices. Visiting the supermarket of Quarteira also offers a fun experience for shoppers who enjoy haggling for great discounts. This shopping hub resembles the old ways of markets in Portugal. While Quarteira also hosts a couple of modish shops that feature big brand names, the place is also more famous for its local pottery. You can find pots and jar souvenirs in souvenir and ornament shops all around Quarteira. For food lovers and explorers, the local Lota supermarket offers fresh fish, meat, fruits and Portuguese foods. Here, you can buy fresh authentic Portuguese cheeses, chorizo and breads, whether in retail or wholesale. And if you do not speak Portuguese, don’t worry because English-speaking vendors run the place, thus you can easily negotiate for the goods you want to buy.